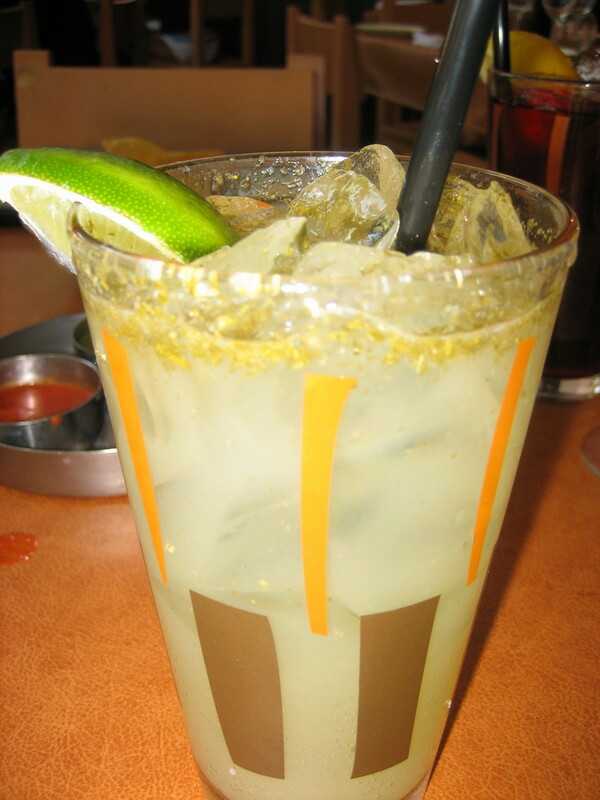 This mint-lime-soda concoction is from the Border Grill, at Mandalay Bay in Las Vegas. It was cool, refreshing and purrr-fect for this weekend's 114+ degree weather. I couldn't figure out why the finely chopped mint bits were brown. Looks weird, tastes good, shrug. I'll have another. Can't mention the Border Grill without fawning all over their housemade tortilla chips, lamb barbacoa, or plantain empanadas. They win the prize for steepest-price-torta, at over $24. That's two and a half times more than your average Mission torta, and it looked much smaller on the plates we observed. But those fancy resort digs don't pay for themselves.